Manufactured with an aluminium or stainless steel enclosure, the new switchbox has been tested for operation in temperatures up to 250ºC for 2 hours or 300ºC for 70 minutes. High temperature applications include tunnel ventilation dampers, HVAC plant rooms and other building services environments. Teflon coated stainless steel bushings ensure smooth and low friction shaft rotation, whilst precision end-of-travel switches guarantee normally open (NO) and normally closed (NC) logics. 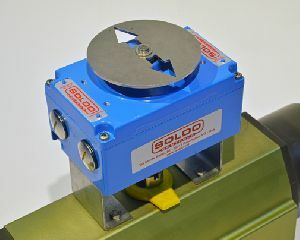 Standard features also include the Soldo twin shaft design, enabling easy access to switches and terminals, and rugged enclosure coatings for challenging environments. Ceramic terminals and special wiring options complete the compact Soldo design. The range is tested at 250VAC 5A and has a guaranteed mechanical life of one million cycles. Find out more about Soldo range Switchboxes.